I have been contemplating on this topic as to how I should give a headline to this write-up as I followed keenly the elections which took place in Nigeria on the 23rd February 2019. One will ask, why will a Ghanaian worry himself to write about an election that has no effect on him? Such person may be right to assume that, but when you think critically about it you will also agree with the writer that this is a good opportunity to air his views on the subject matter. After some time of pondering, I settled on a headline which is captioned “VOICE FROM AFAR”. In this, I have sort to give some historical political incidences between Ghana and Nigeria and the recently held election which saw president Buhari retain power. In April 2013, I had the privilege to travel to Nigeria and embarked on a mission for The Church of Jesus Christ of Latter-Day Saints. Prior to it, my family had some fear about Nigeria because, during that time, the Boko Haram insurgencies were on a rampage. The incessant killing of some Nigerian civilians really put fear in them. On the second thought, they were convinced that I was embarking on the service of God and as such needed to be confident and fearless. Most of these killings happened in the northern part of the country. I traveled to the Eastern part of Nigeria and I must say the place was peaceful. Some Ghanaians have some erroneous perception that Nigeria is a boisterous place and as such, the place is not conducive to live. On the contrary, I must confess that these perceptions that some Ghanaians observe from afar is not true and that Nigeria is a peaceful country just as Ghana. They are hospitable and charitable as well. Anyone who has once lived in Nigeria I’m sure can’t agree less. Let me pause and move to the substantive issue. My two years’ experience in Nigeria will be told some other time. Nigeria is a very big country and it is Africa’s most populous country. It has a population of about two hundred million. Nigeria practices the federal system of government and has 36 states with its federal capital Abuja making it 37 states. Their seat of government is in Abuja popularly known as the Aso Rock Presidential Villa. It is blessed with some natural resources like, gold, salt, coal and oil. It produces Africa’s largest oil to the world market. According to https://www.investopedia.com/articles/investing/101515/biggest-oil-producers-africa.asp Nigeria produced more than 2.4 million barrels of oil per day in 2014 to rank as the 13th-largest oil producer in the world. The country has produced between 2.1 million and about 2.6 million barrels per day for the last 18 years. Ghana came under a constitutional rule in 1992 after languishing in the military regime for so many years. The 1992 constitution ushered Ghana into the fourth republic under the leadership of former president Jerry John Rawlings who had ruled Ghana from 1981 to 1992 before entering civilian rule. He stood on the ticket of his party; the National Democratic Congress (NDC) during the 1992 general election and won. He defeated the eminent Professor Albert Adu Boahene, of the New Patriotic Party (NPP). He successfully served his two terms and then handed over to his successor, former president John Agyekum Kufuor. Surprisingly, Nigeria is also under her fourth republic after walloping in the military regime for several years. Following the death of the military dictator and de facto ruler of Nigeria, General Sani Abacha in 1998, his successor General Abdusalami Abubakar initiated the transition which heralded Nigeria's return to democratic rule in 1999. The ban on political activities was lifted, and political prisoners were released from detention facilities. In the widely monitored 1999 election, former military ruler Olusegun Obasanjo was elected on the ticket of the People’s Democratic Party (PDP). On 29 May 1999, Obasanjo was sworn in as President and Commander-in-Chief of the Federal Republic of Nigeria. Can you see a similar historical political incident between Ghana and Nigeria? Olusegun Obasanjo successfully served his two terms and handed over to his successor, Umaru Musa Yar’ Adua in 2007. It must be stated that both Obasanjo and Yar’ Adua belong to the same political party which is the People’s Democratic Party (PDP). This means that after they returned to constitutional rule, power has been alternating within one party. This is slightly different from the case of Ghana. 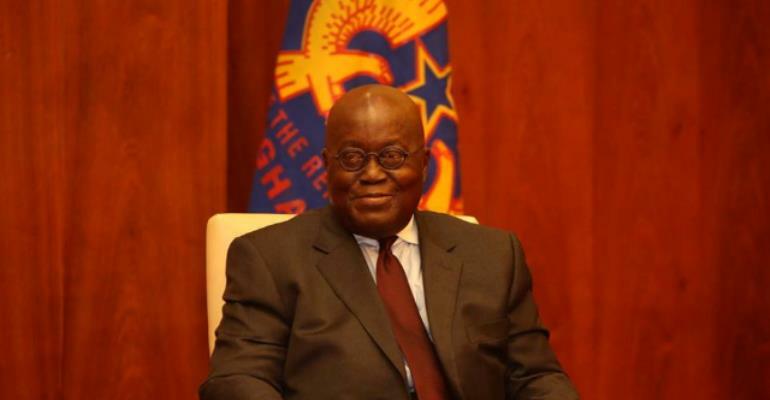 In Ghana, power has been alternating between the National Democratic Congress (NDC) and the New Patriotic Party (NPP) under the fourth republic. His Excellency John Agyekum Kufuor’s tenure came to an end on 7th January 2009 and handed over to His Excellency John Evans Atta Mills of the NDC. In this case, power alternated from the NPP to the NDC. John Evans Atta Mills and John Dramani Mahama took over the affairs of the state from January 7, 2009 to July 24, 2012. Unfortunately, John Evans Atta Mills died on 24th July,2012 after battling with some illness a few months to the 2012 general election. Due to this, the then vice president John Dramani Mahama was sworn in by the then Chief Justice Her Ladyship Georgina Wood. John Mahama appointed Paa Kwesi Amissah-Arthur as his vice president. Amissah-Arthur appeared before the appointment committee of parliament to be vetted and was later approved by the house. John Mahama was the care-taker for Ghana from 24th July 2012 to 6th January 2013. He stood on the ticket of the NDC in the 2012 general election and was able to deliver victory for them after his victory was challenged by the NPP in court. Let’s move to Nigeria and see a similar political incident that also happened during that moment. After the demise of Umaru Musa Yar’ Adua, his vice, Goodluck Jonathan took over the helm of affairs from 5th May 2010 to 29th May 2011. Prior to the 2011 general election in Nigeria, Goodluck Jonathan stood on the ticket of the People’s Democratic Party (PDP) and was able to deliver victory for his party. John Mahama and Goodluck Jonathan were very good friends when they were president of their respectful countries. The cordial relationship that existed between Ghana and Nigeria during their administration was amazing. In 2015, Goodluck Jonathan was seeking re-election to enable him to serve his second tenure. During this time, some smaller political parties also came together to merge in their bid to unseat the president and the PDP who have won all elections since 1999. After successfully merging, they elected Mohammadu Buhari to be their flagbearer. The 2015 general election in Nigeria was feisty contested between President Goodluck Jonathan of the PDP and Mohammadu Buhari of the All Progressives Congress (APC). There were a lot of challenges going into the 2015 Nigerian election. Amongst them are, the issue of Boko Haram and some kidnappings. Power crisis was another challenge that hit Goodluck’s administration. Not forgetting about corrupt related matters. These were some of the key issues that the opposition APC capitalized on to campaign against the government. Unfortunately, Goodluck Jonathan lost to Buhari and was not able to secure his second term. In a related development in Ghana, the incumbent John Mahama was seeking his second term in office but lost heavily to the NPP. The 2016 general election was one of the hottest contested election ever to be conducted in Ghana under the fourth republic. John Mahama was seeking for his second term in office while Nana Addo too was also contesting for the third time. In addition, the NPP had spent eight years in opposition. These and many other factors accounted for the healthy heated election in 2016. There were a lot of challenges that the NDC government faced prior to the 2016 general election. Some of them were economic hardship, corruption, high rate of unemployment, high cost of living, and power crisis which was popularly referred to as ‘DUMSOR’ meaning ‘light off and light on’. The opposition NPP at the time took advantage of these issues and campaigned vehemently on them. Notwithstanding the troubling situations, many Ghanaians also believed that the NPP had good policies as compared to the NDC and when voted into power will alleviate the plight of many Ghanaians. Some of its policies were; Free Senior High School Policy, One District One Factory, One Village One Dam, One Million dollar per each Constituency and many others. It must be stated that John Mahama’s administration had done extremely well in terms of infrastructure. The building of some community day schools for second cycle institution were very encouraging and the construction of some hospitals and roads. After a peaceful poll on the 7th December 2016, the Electoral Commissioner started to collate the results and on 9th December 2016, Madam Charlotte Osei the then E.C chairperson declared Nana Addo Danquah Akufo Addo as the president-elect of the Republic of Ghana, beating his closest rival John Dramani Mahama. This meant that John Mahama likewise Goodluck Jonathan of Nigeria could not secure his second term in office. The interesting part of the situation was that both John Mahama and Goodluck Jonathan were in their Fifties (50s) when they were seeking re-election. While Buhari and Akufo Addo were also in their seventies (70s) when they contested to be presidents. President Buhari faced some difficulties with regards to his health condition as he travelled most of the time outside Nigeria to seek for medical attention. At a point, he asked his vice president His Excellency Yemi Osinbajo to take over as the interim president until he recovers from his illness. Many Nigerians bashed him for that, especially when he showed interest in contesting for re-election. These criticisms from citizens did not perturb him. The Nigerian election was supposed to take place on 16th February 2019 but about some five hours to the election, the Independent Electoral Commission (INEC) chairman Prof. Mahmood Yakubu, announced that the election cannot take place due to some logistical problem. He attributed this challenge to bad weather which made it impossible to transfer the logistics to some areas. This was very bad for Nigerian democracy. No wonder the apathy that greeted the election on 23rd February 2019 presidential election was very disturbing and voter’s turnout was less than 40%. This time around, President Buhari had to deal with someone who was coming from the north and a Muslim. So, in terms of religion and ethnicity, there was nothing for him to talk about. Unlike 2015, when they did their campaign base on religion and on ethnicity, this time around he had to contest with former vice president of Nigeria, Atiku Abubakar who stood on the ticket of the PDP. At this moment, Atiku was no match for president Buhari as he beat his rival over three million votes. The results would have been different if the election was held on that planned date. The margin would have been wider, or the opposition would have won but these are some assumptions of the writer. Besides, the people of Nigeria knew better and have made their choice. In any case, if the members of the opposition were poised for victory, they would have done everything within their power to garner more votes to ensure their victory. On that fateful 23rd February 2019, while Nigerians were voting to elect their president, the opposition NDC in Ghana also held their delegates congress to vote for their presidential candidate who would lead them into the 2020 general election. The delegates voted massively for former president John Mahama to lead them into the 2020 election. Are you surprised to see his name again? According to him, he wants to lead the country again and correct some mistakes he made when he was president. As to whether the presidency is an avenue for correction, only time will tell. We are not told if President Nana Addo will lead the NPP into the 2020 general election. For now, we are right to assume that, Mahama and Nana Addo will battle it out once again come 2020. Former deputy general secretary of the NDC Mr. Koku Anyidoho said “history has an interesting way of repeating itself”. Is history going to repeat itself again? Is it going to be Nana Addo and Buhari who will continue the political history between Ghana and Nigeria that has been happening concurrently in these past years? Or Will John Mahama break this history? We live to see! Time will be the best judge. The healthy relationship that exist between Ghana and Nigeria should be maintained and deepened. Long live Nigeria, Long live Ghana. Ghana must work again. Ghana will work again. YOUNG POSITIVIST, a concerned citizen of Ghana. The writer is Boamah Sampson, a final year student at the University of Ghana, studying English and political Science (0548690091/[email protected]).